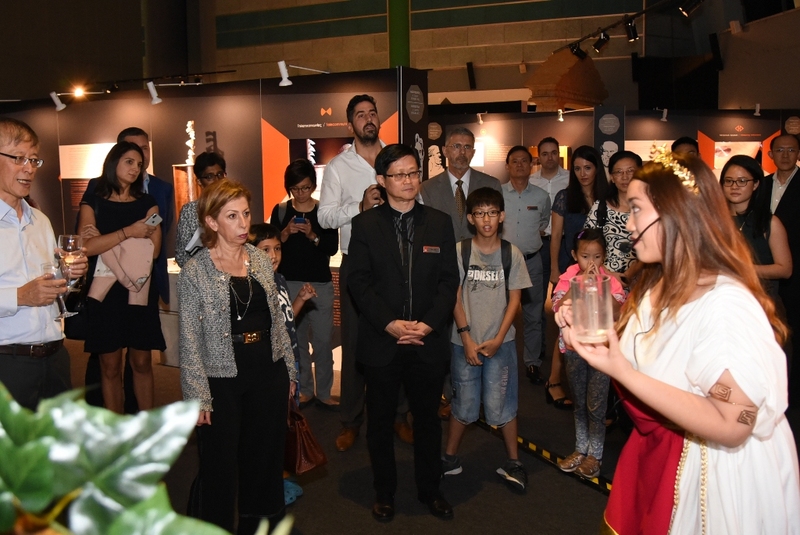 The Museum's traveling exhibition "The Inventions of the Ancient Greeks - the Beginnings of Our Modern Technology" was inaugurated at the Singapore Science Centre in the presence of the ambassadors of Germany, France, Spain, Ireland, Portugal, Ireland, South Korea, Poland, Romania and the representative of the European Union in Singapore and will last from the 18th of October 2018 till the 17th March 2019. The exhibition occupies 2,000 sq. meters and presents 60 functional exhibits/inventions of the ancient Greeks, an interactive zone of 24 additional exhibits, 24 video screens and 500 sq. meters of scenography. The exhibition is divided into sections such as robotics, computing, steam, gas, automotive, automated navigation, automation, programming, telecommunication, encryption, geodesy, mapping, astronomy, metering instruments, automation, hydraulic and wind power utilization, , tooth drive and chain drive, and so on. and proves with absolute validity and credibility the fact that many sciences and techniques, which resemble today or at least the modern era, were born in ancient Greece. There has been a tremendous development of technology and a peak in the 3rd and 2nd century BC, a gradual degradation and loss of this technology at the time of the Romans and a gradual recovery of this technology after 1,500 years. 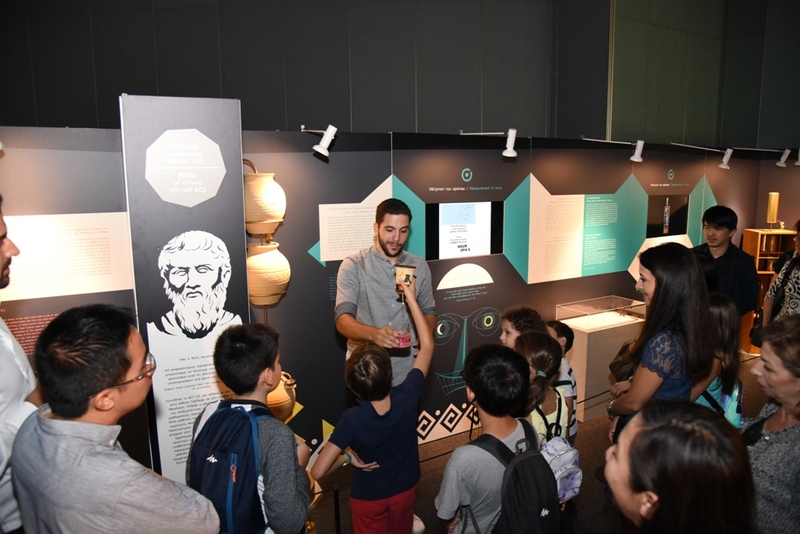 In the front of the exhibition, two screens show a video about Greece and its culture, and a second one on Ancient Olympia. 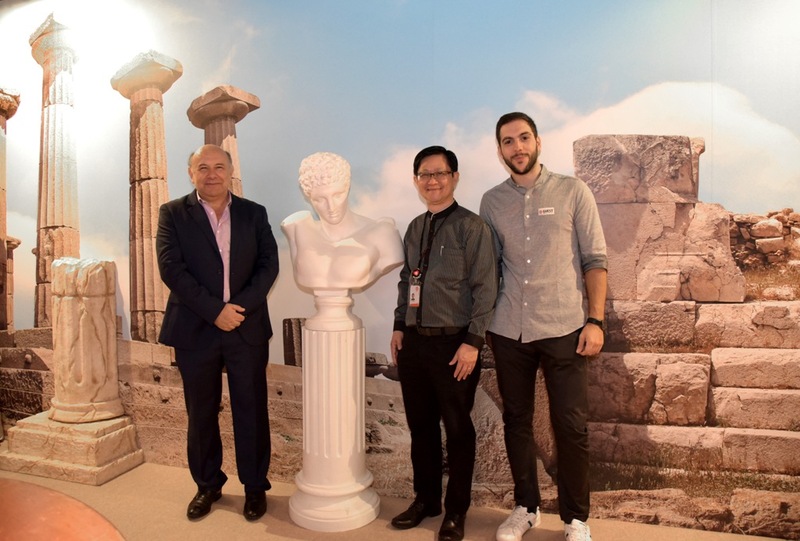 The Singapore Science Museum has organized a huge display of the exhibition, even advertising the sponsorship of tourist airfares for Greece to the lucky visitors of the exhibition. "Archimedes' Museum" in Ancient Olympia is a unique thematic museum in Greece and is dedicated to the great Mathematician, Physicist, Engineer, Astronomer and Inventor of the ancient Greece and the Ancient Greek Technology of his time.